The beautiful Milne Bay is teaming with life with its diving being rated as some of the BEST in the world. With never ending visibility and the greatest range of marine bio-diversity recorded you can see from the smallest, most unique critters to being outnumbered by some of the larger schooling pelagic. Whilst Tawali Resort is ideally located in the middle of this wondrous location, aboard the Spirit of Niugini we try and explore every corner of Milne Bay. 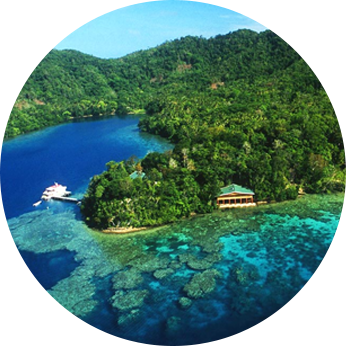 The province consists of a large cluster of islands on the eastern tip of Papua New Guinea. The islands that we venture out to explore are made up of the Conflict Group, Samarai and the D’Entrecasteaux Group. consist of the large islands of Normanby, Fergusson, and Goodenough and some of the much smaller islands of Sanaroa, Watoa, Nuakata and Duchess. These islands are known for their pristine reefs, coral pinnacles and elaborate soft corals. The fish life is abundant and varied from schools of fish in shallow waters complimented by the marauding pelagics. With these, you’ll get to experience a diverse life abroad and witness the wonderful things that the ocean has to offer thru astonishing water activities like live aboard, muck diving and wreck diving. See Tawali Resort’s muck dive and wreck dive sites here. Each area offers a totally unique and refreshing diving experience, you’ll be spoiled for choice and lucky to be among the few explorers to ever venture here. 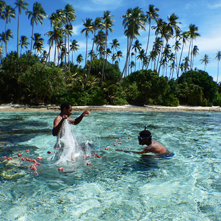 Below is a list of the itineraries that the Spirit of Niugini covers. All starting and finishing at Tawali Resort. BOOK NOW! Download and see the Spirit of Niugini charter schedule here.